Final Fantasy XIV: A Realm Reborn players can play solo in remote play. 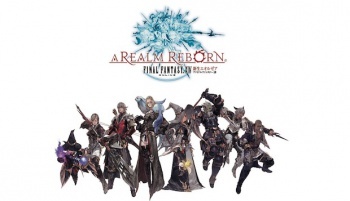 Producer Naoki Yoshida from Square Enix revealed to Famitsu that players can use the remote play option with the Vita and PlayStation 4 to play Final Fantasy XIV: A Realm Reborn. In remote play, players can harvest or produce goods and level up. "Also, it's not like you cannot progress in the game if you don't play with a party," Yoshida told Famitsu. "You can play quests by yourself bit by bit and level up." He said remote play was suitable for relaxing and doing solo actions, such as fishing. He likened remote play as a more calming play style whereas sitting in front of a monitor and teaming up with others is useful when players are feeling like, "Let's form a party and go to a dungeon!" "Depending on whether you feel like playing at a certain time or on a certain day, you can select between relaxing play or giving it your all," Yoshida said. "I think expanding those options itself is something new." Yoshida has also considered adding a second screen app with a "Realm Reborn Lodestone" database. Second screen functionality has become more and more of a consideration for game developers in the past year. The PS4 version of Final Fantasy XIV: A Realm Reborn will be available next year. Yoshida recently apologized for the number of difficulties players have faced during the game's launch this past week.